The Humanitarian and Educational Public Association "Commonwealth of Polesie"
The Humanitarian and Educational Public Association "Commonwealth of Polesie" was established on March 19, 2017 on the basis of the Information and Educational Institution "Institutional Development" and is its legal successor. The state registration of the “Commonwealth of Polesie” was held on May 12, 2017. Purpose: creation of conditions for the all-round development of citizens, disclosure of their creative potential; assistance in the development of civil society based on the patriotic, historical, humanitarian and cultural values ​​of the Belarusian people. The object of the Humanitarian and Educational Public Association "Commonwealth of Polesie" is the development, implementation and participation in international, regional and local innovative programs and projects in the fields of culture, science, politics, economy, ecology, tourism and also in the social and public spheres that are the basis for the development of civil society. 225730, Brest Region, Pinsk District, the Village of Pinkavichy, 12/45 Zvyozdnaya Str., +375-44-7316871; e-mail: sadpalesse@gmail.com. Chairman of the Council of the Humanitarian and Educational Public Association "Commonwealth of Polesie" Dzmitry Kisel. 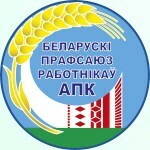 The non-commercial organization «Institutional Development» based in Pinsk, Brest region of Belarus. The NGO implements projects aimed at preservation of historical and cultural heritage of Belarus, promotion of community participation and youth activism. The non-commercial organization «Institutional Development», supported by the U.S. Embassy's Small Grants Program, has developed informational materials and a special route documenting many of the places visited by Louise Arner Boyd to commemorate the 80th anniversary of her expedition. The project is implemented with the support of the Department for Humanitarian Activities of the Property Management Directorate of the President of Belarus, the U.S. Embassy in Belarus, and the Pinsk District Executive Committee. One of the ideas suggested as part of the project is to erect a monument near the Yakub Kolas Museum in the village of Pinkovichi. The monument will depict the route of the journey across the Belarusian Polesye that Louise Arner Boyd made in 1934. The monument has already been designed. It is expected to be erected in spring 2016. The photo album Louise Arner Boyd's Polesye was published in 2015 as part of the project. A documentary of the same name was shot. A number of car and bicycle routes were developed. Tourists are invited to repeat the journey of the American traveler. The journey will start with a tour of Pinsk and continue through a wildlife reserve. Louise Arner Boyd was an American traveler and explorer of Greenland and the Arctic. Thanks to her adventures, reporters nicknamed her “the Ice Woman.” In 1934 she made an expedition trip to the Belarusian Polesye and took more than 700 photos of rivers, lakes, marshes, and people. Today the photos are important historical and ethnographic documents. The expedition of Louise Arner Boyd at Polesie — a testament to how deep the ties between the edge of the centuries-old bogs in the heart of Europe and the New World are. From the standpoint of modernity it can be seen as a landmark historical event, which allowed the American public to discover Polesie, learn about the life of its indigenous population, original traditions and primevalness of Polesie nature. This expedition has convincingly shown how human values, the pursuit of knowledge and mutual understanding bring together the peoples of the United States and Belarus. The project “Following the Expedition of Louise Arner Boyd. To the 80th anniversary of the legendary expedition of the American Lady”, supported by the US Embassy in Belarus and implemented with the assistance of the Belarusian authorities, has created a good cultural and educational platform for dialogue and the further rapprochement of our peoples. It is safe to say that this is a creative contribution to the development of relations between Washington and Minsk. Without cultural, humanitarian, historical connection it’s hard to negotiate seriously and understand each other. Belarus, due to its difficult historical fate generously shared human resources with different countries of the world, including the United States of America. Many natives of Belarus: prominent scientists, political leaders, financiers, entrepreneurs, intellectuals, experts in different fields, and hundreds of migrant workers of the first half of the twentieth century contributed significantly to the development and prosperity of the American society. We, Belarusians, appreciate the fact that the United States became one of the first countries to recognize the independence of the Republic of Belarus. That important in the history of our country event took place on December 25, 1991, and on December 28, just in 3 days, the sovereign Belarus and the United States of America established diplomatic contacts. In 1930s introduced Louise Arner Boyd Polesie to America and the Western world, and now her invaluable work gives us a unique opportunity through the thickness of the events and the time to look at a bygone era impartial, full of deep sympathy for the simple inhabitants of Polesie, through the look of the American researcher. I wish all readers flipping through the pages of this album, a fascinating journey through time and for a moment become satellites of the legendary American Lady, who immortalized Polesie in her photographs. I express my gratitude to the Department of Humanitarian Affairs under the President of the Republic of Belarus, the US Embassy in the Republic of Belarus, Brest Regional Executive Committee, Pinsk District Executive Committee. The First Secretary of the "Institutional Development" Dzmitry Kisel.